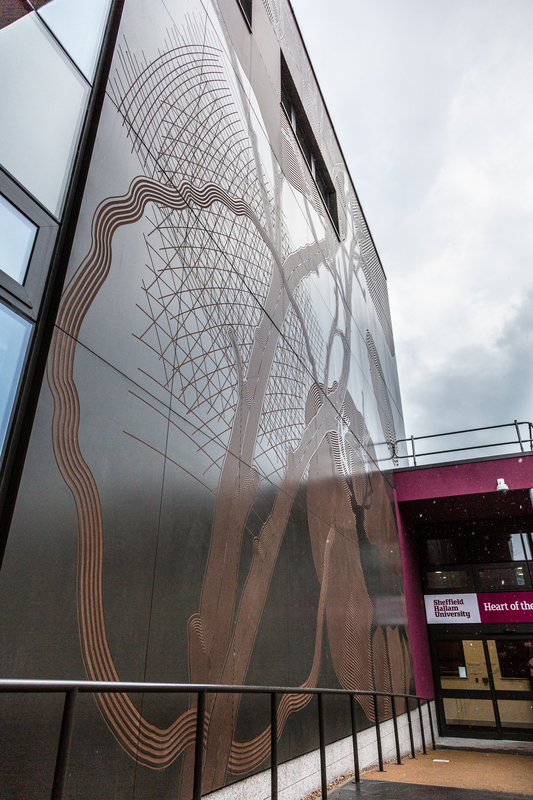 Just over four years ago we completed the project at Sheffield Hallam Collegiate Campus. 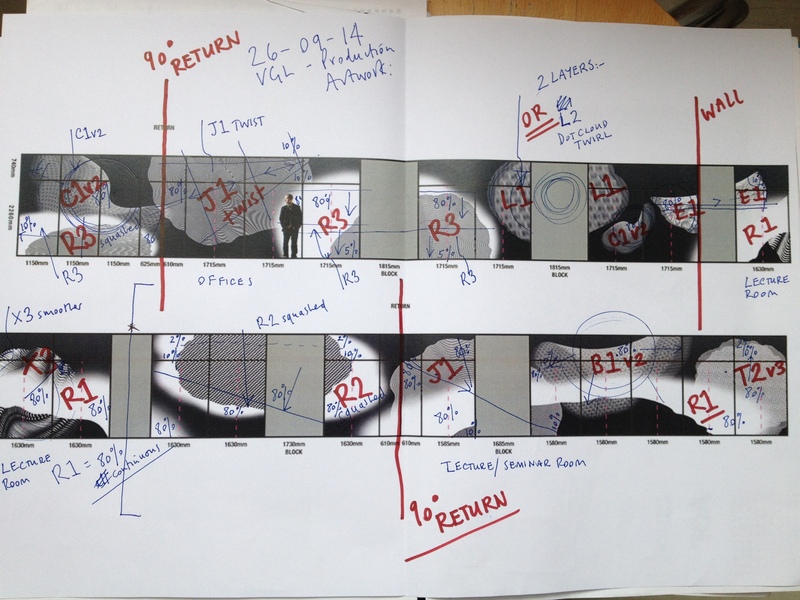 Although I took a fair number of images at the time of the glazing manifestations, which were applied to the East elevation glazed curtain walls, I focussed on the interior images only. 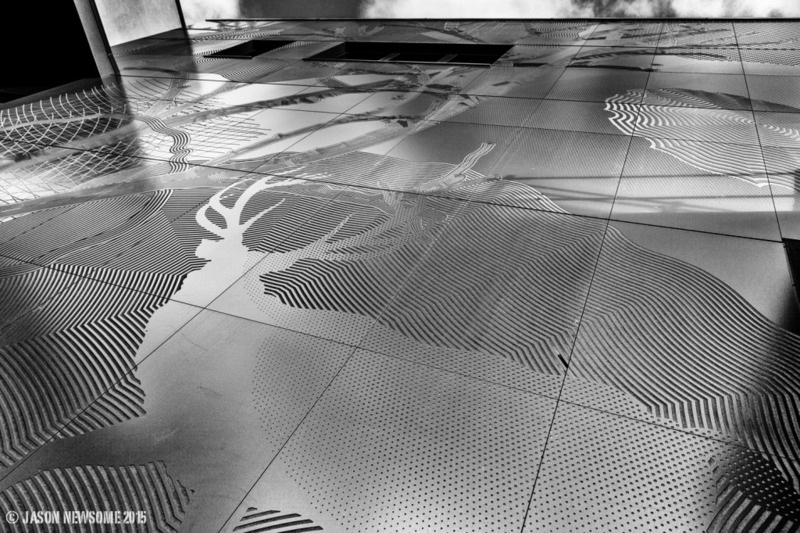 I had no decent images of the external elevations with the artwork completed. 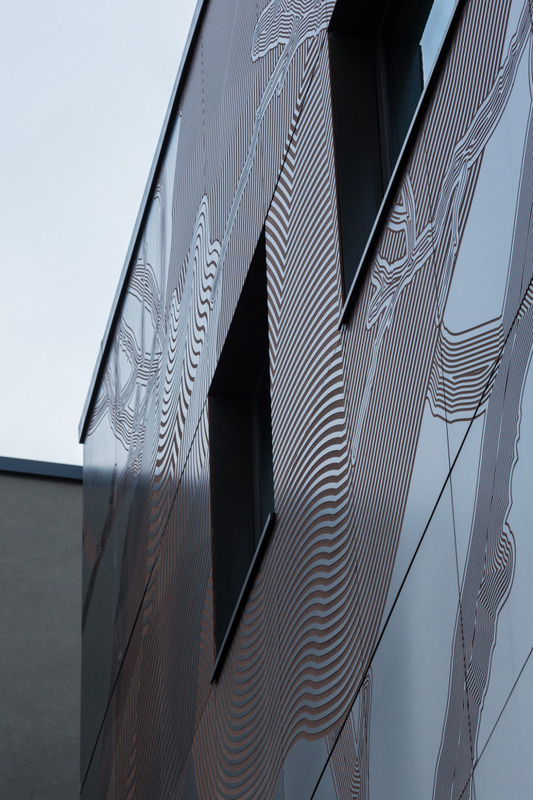 I recently got in touch with the Photographer Lisa Daniels, who made some wonderful images of the building having been commissioned to record the external landscapes by the project architects HLM. She has let me have access to this great image. 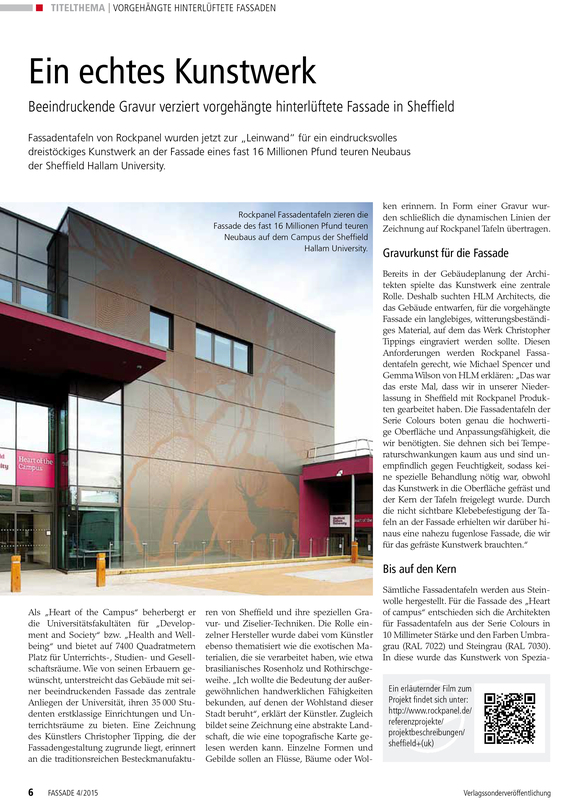 ‘Heart of the Campus’ for Sheffield Hallam University has also been featured in ‘JOURNAL ARCHITEKTEN UND PLANER’ with some great images. 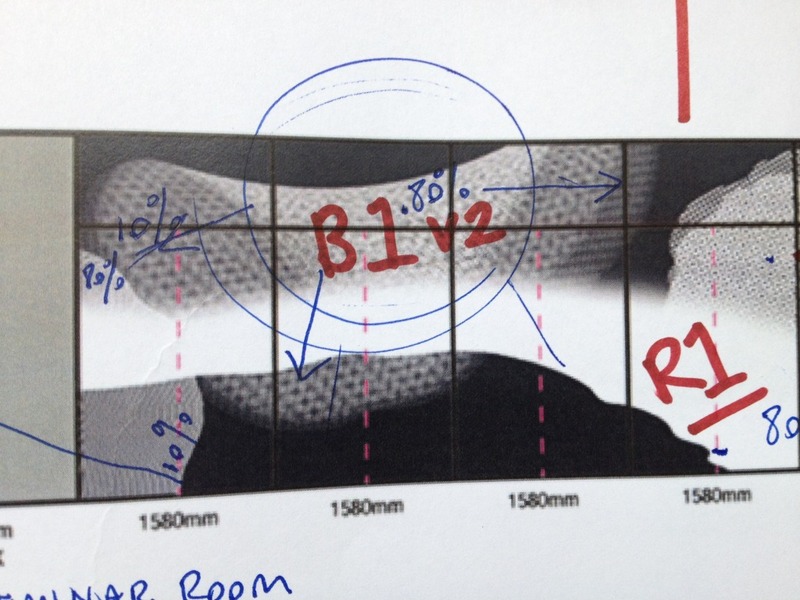 Again, this was sent over to me by Rockpanel, who have produced some pretty wonderful PR on the project – the sort of coverage I could never achieve on my own – so a big thank you to them ! 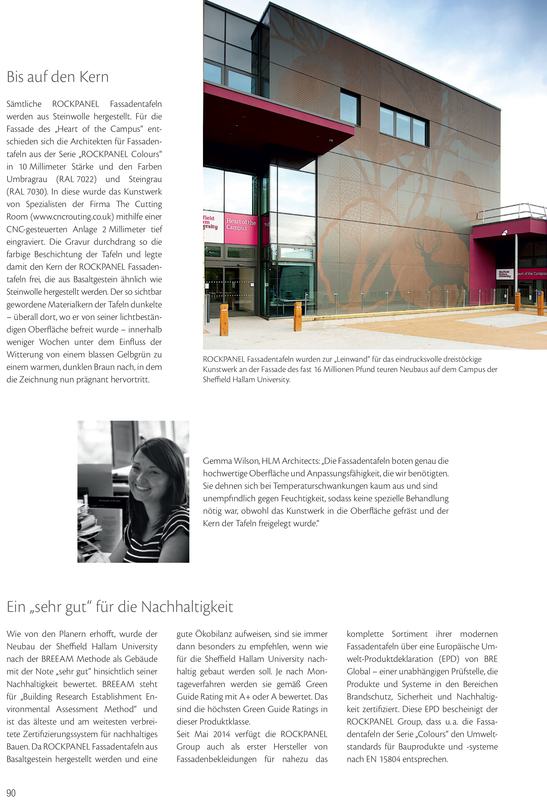 CKE Special Award at the RISE AWARDS for ‘Heart of the Campus’ ! 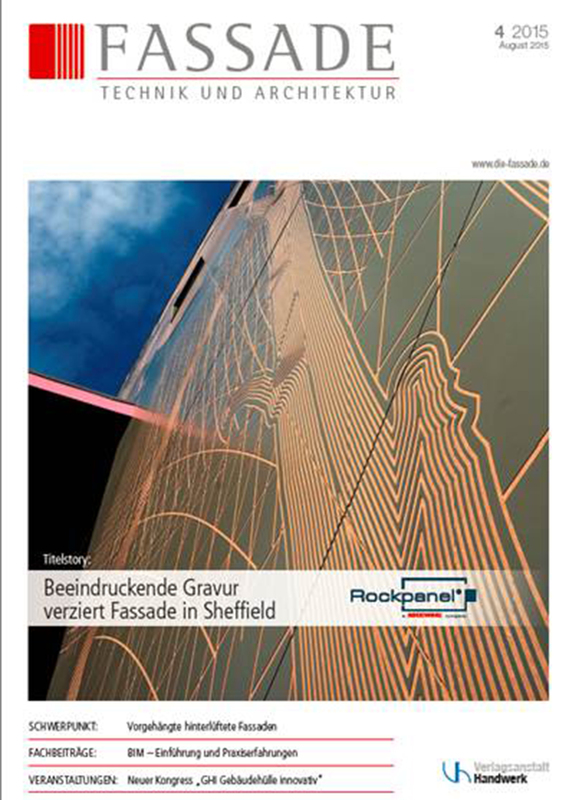 My project collaboration with Rockpanel ‘Heart of the Campus’ for Sheffield Hallam University Collegiate Campus has just won a CKE ‘Special Award’ at the RISE Awards – (Research, Innovation, Sustainability & Enterprise) – in Leeds on Friday 18th September. the award is for innovation, design and creativity. A big thanks to Rockpanel & The Cutting Room CNC specialists – also to Sheffield Hallam University and Turner & Townsend for the opportunity! 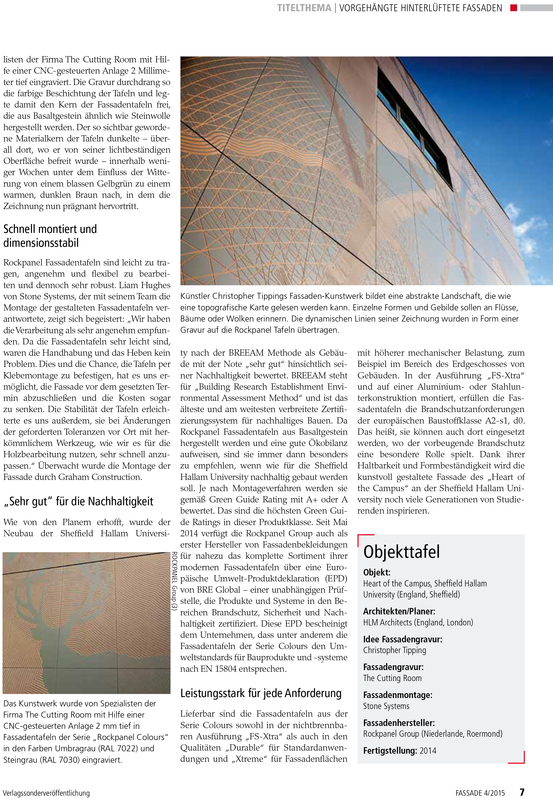 Rockpanel sent over these images of the ‘Heart of the Campus’ project featured in the August edition of FASSADE Technik Und Architektur a German architectural magazine. 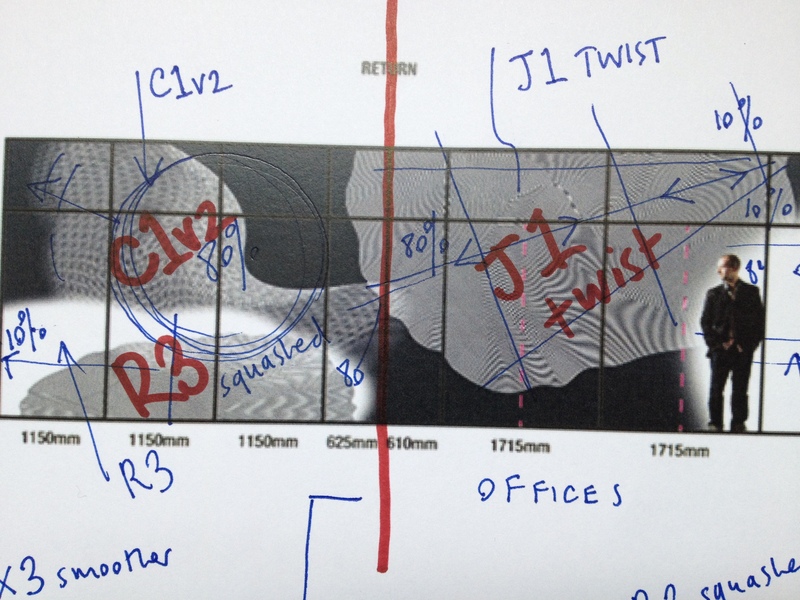 Apologies for the poor quality of the first image ! I am really pleased to announce that the ‘Heart of the Campus’ Building for Sheffield Hallam University , to which I contributed as project artist has won an architectural award at the RIBA Regional Awards 2015 – Yorkshire and Humber. 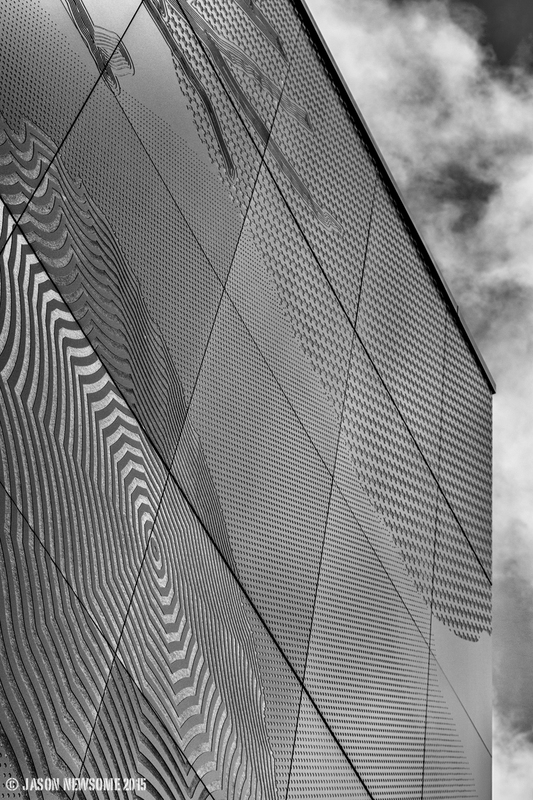 HLM Architects were presented with the award at the event held last night at the Aspire Venue in Leeds. 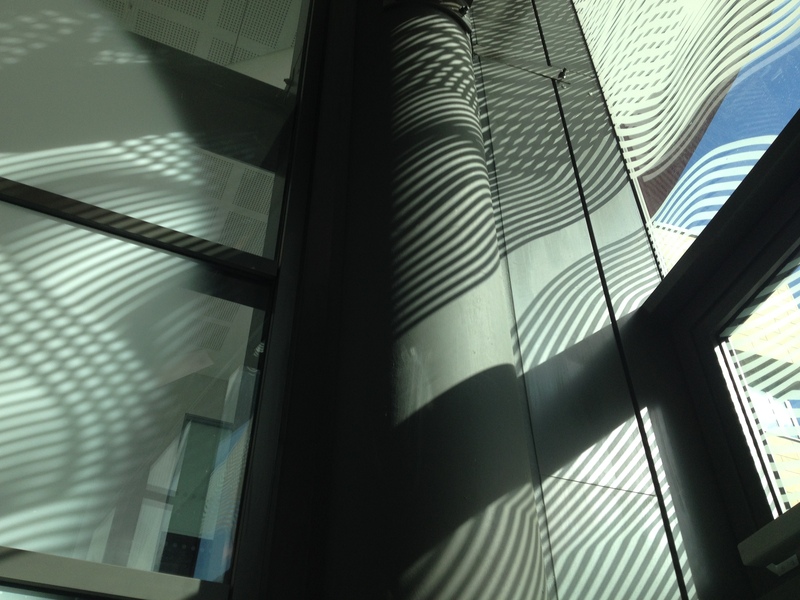 The project team was made up of HLM Architects, Turner Townsend, Graham Construction & Sheffield Hallam University. It has been an amazing project to work on and I thank the project team for giving me the opportunity to make a contribution. 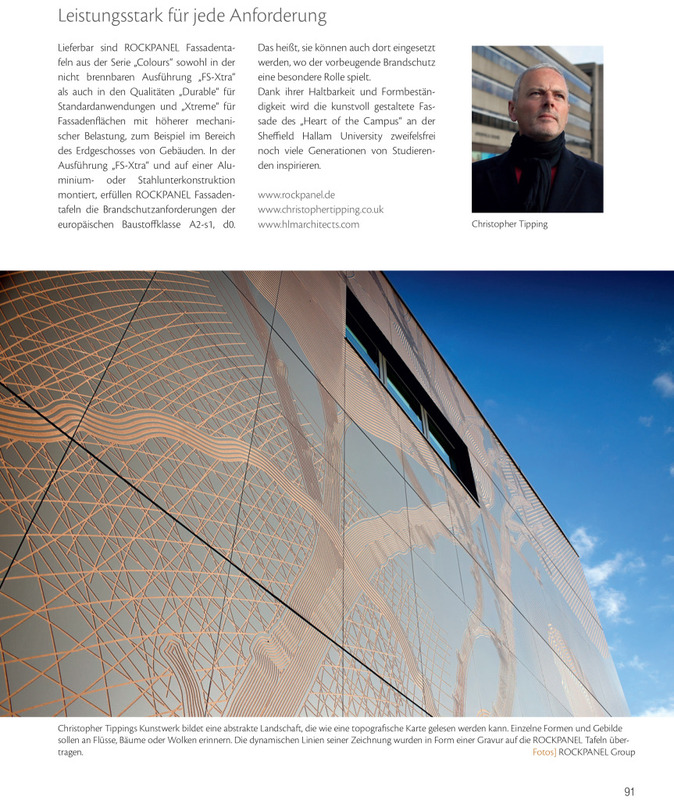 The interpretive cnc routed drawing artwork to the Elevation was delivered in collaboration with Rockpanel and The Cutting Room. 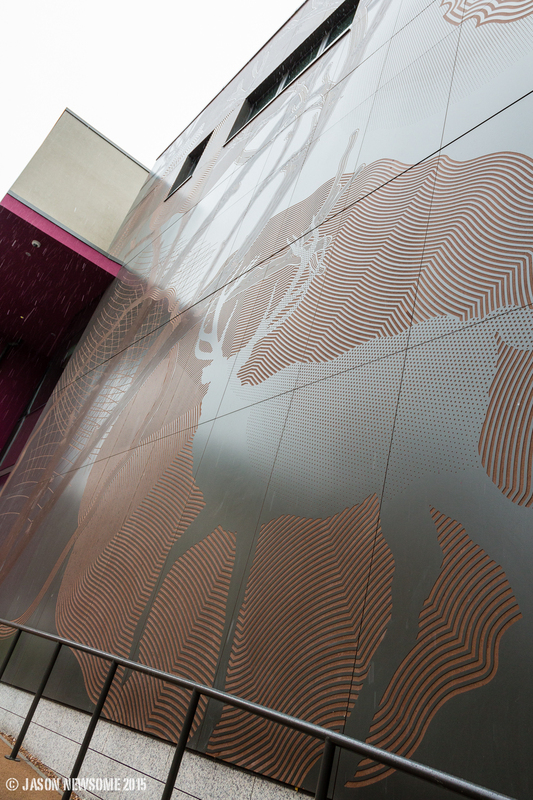 The digitally printed glazing manifestations were delivered in collaboration with VGL Ltd. I met Ken whilst researching my commission for Sheffield Hallam University & had a very memorable day spent searching through the archives and collection with him bringing all manner of objects to me. 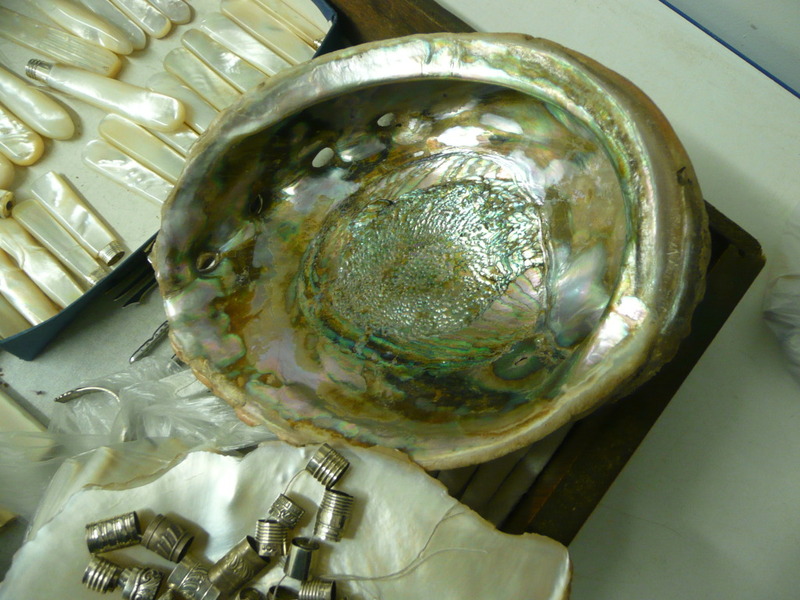 His enthusiasm and passion were very much evident, as was that of the team of volunteers who assisted and managed the collection with him. I made my last visit there on 18th June 2013 – but didn’t write up the experience until May 6th 2014 as I had only then started this blog. 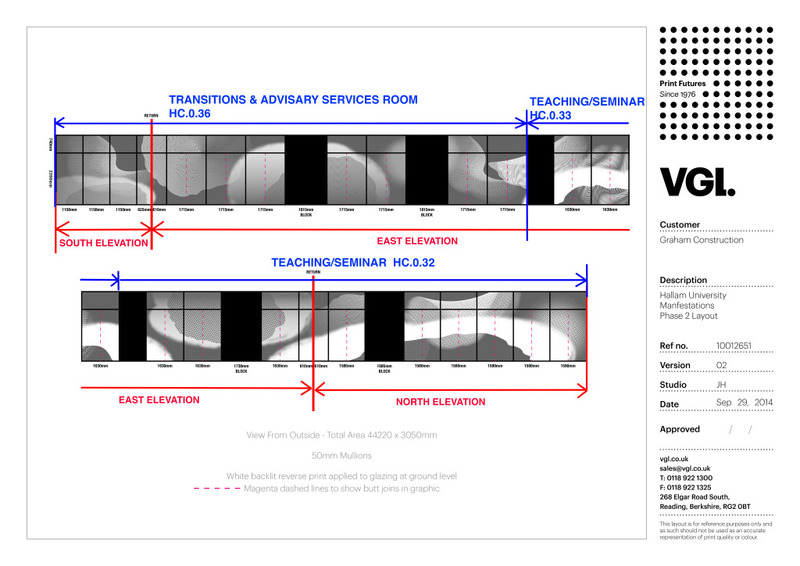 I was keen from the outset to explore a site-specific response to the project brief. 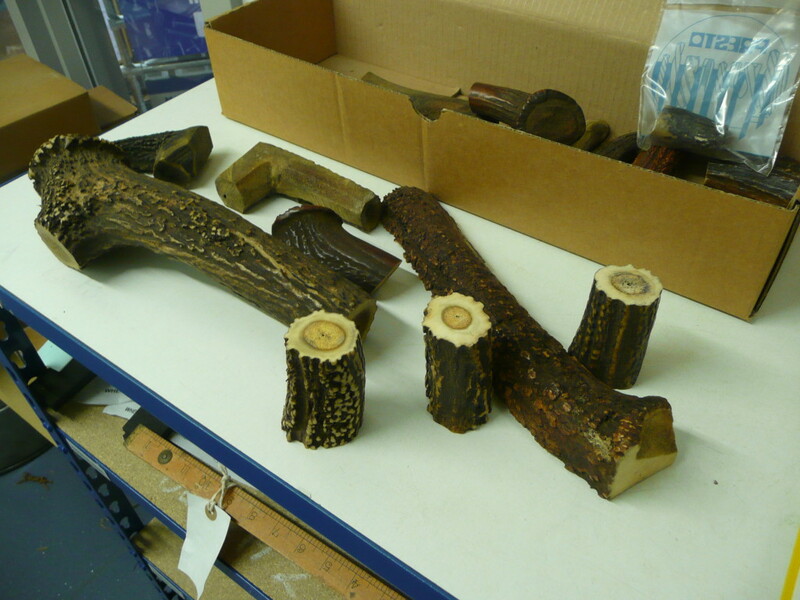 With that in mind I have been researching the many collections and archives housed by Sheffield Museums and Libraries. 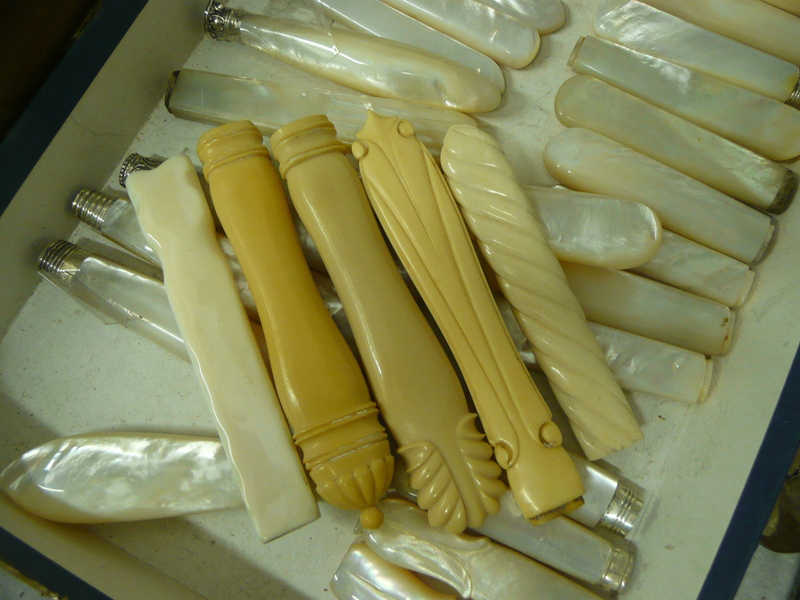 I am particularly drawn to the history and manufacture of cutlery in the city. Individuals such as Ken Hawley & the wonderful Hawley Collection at Kelham Island Museum, have made enormous efforts to preserve this legacy. His keen focus upon the tools of manufacture draw you inexplicably to those individuals directly involved in the process of making & the evidence of the hand crafted & extraordinary skills upon which the wealth of the city was based. 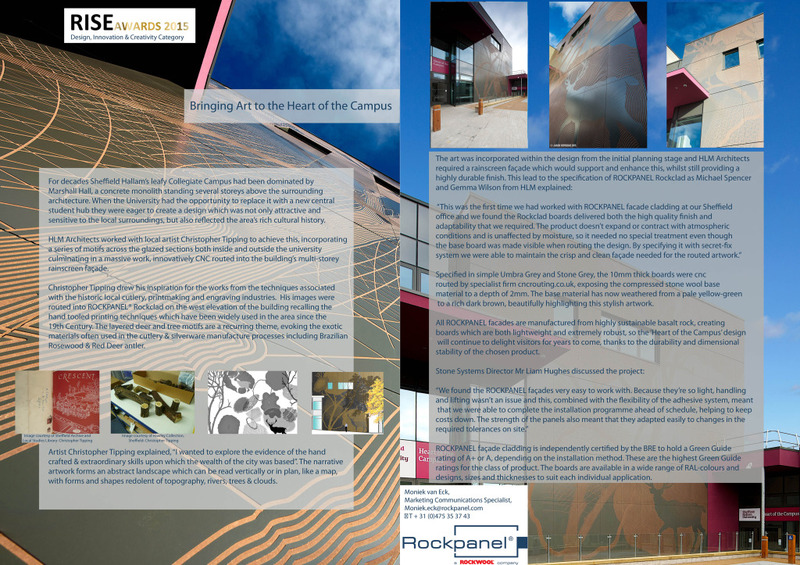 I have been really fortunate to have the Heart of the Campus artwork at Sheffield Hallam University featured by Rockpanel in their online newsletter this month. 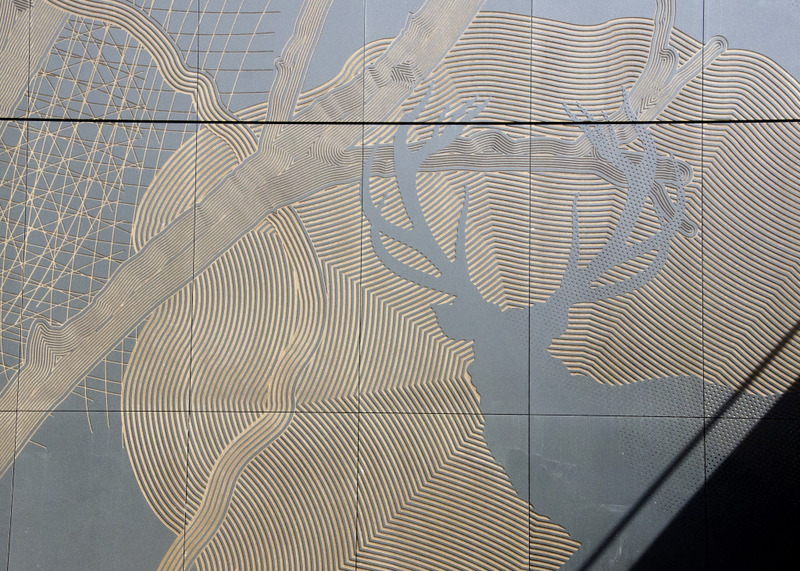 My colleague Jenni Muston at Rockpanel, has sent me some wonderful new images taken of the ‘Heart of the Campus’ facade artwork by the photographer Jason Newsome. 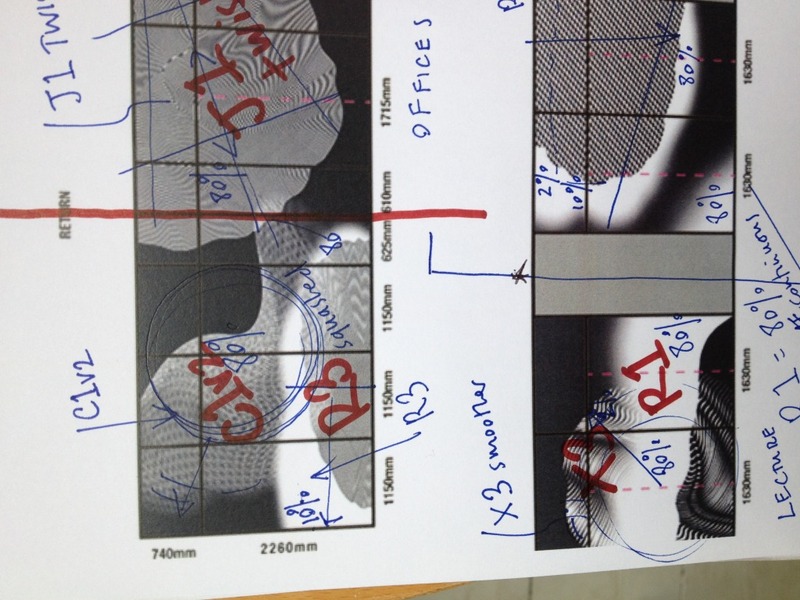 He has really managed to get some brilliant shots in varying light, which show off the variations in surface quality and light reflection. Thanks to both! 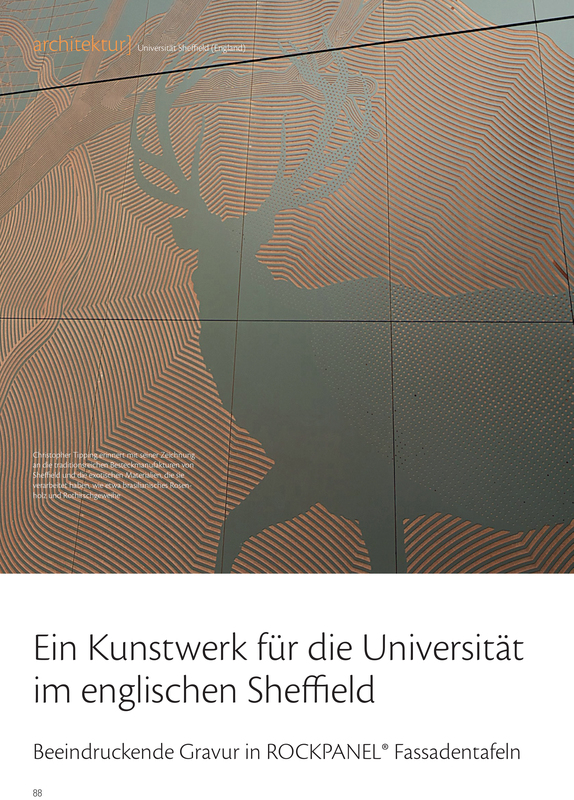 Some new images have been issued by GRAHAM who delivered the Heart of the Campus project for Sheffield Hallam University Collegiate Campus. 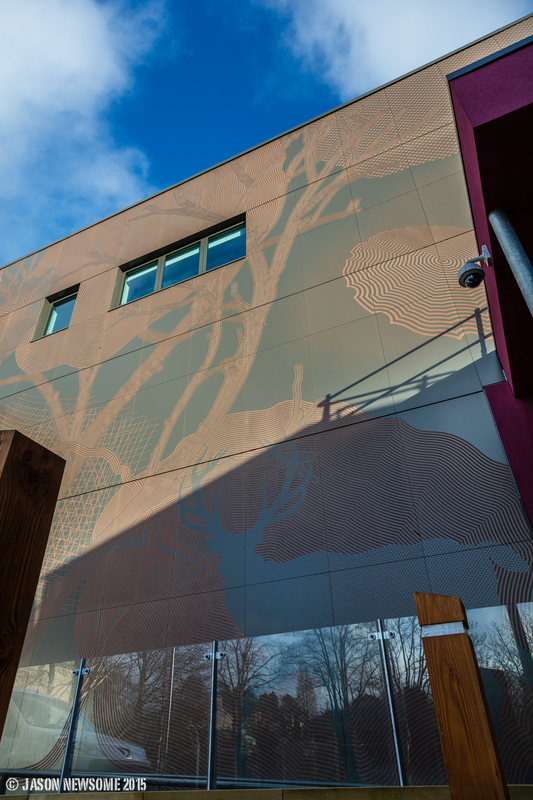 The West Elevation artwork has a great impact on the building facade. 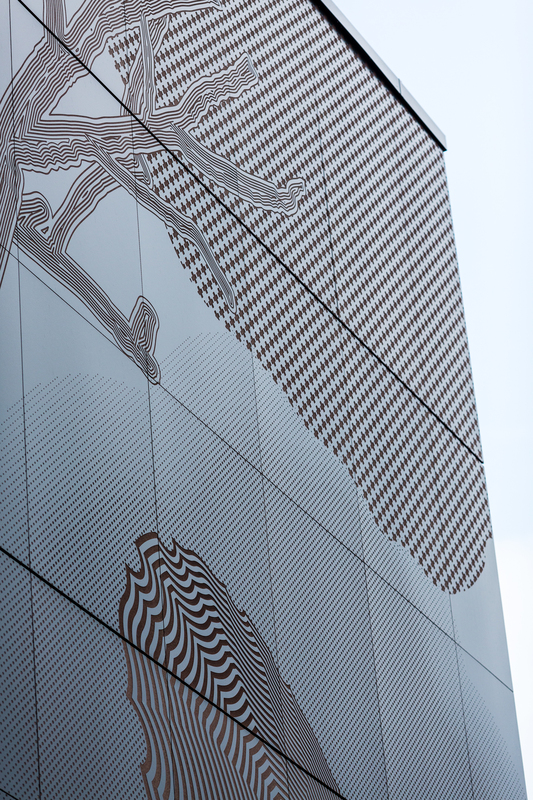 The rainscreen artwork was produced in collaboration with Rockpanel and The Cutting Room in Huntingdon. 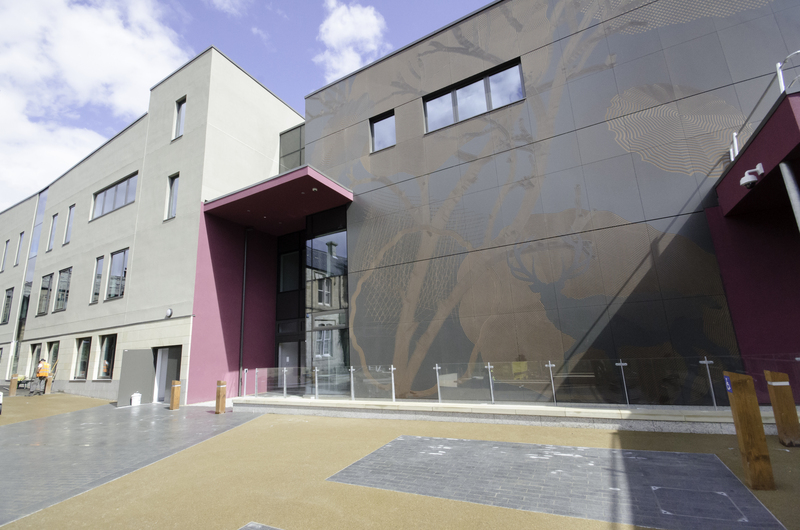 Project Contractors:GRAHAM – Project Architects: HLM Sheffield. 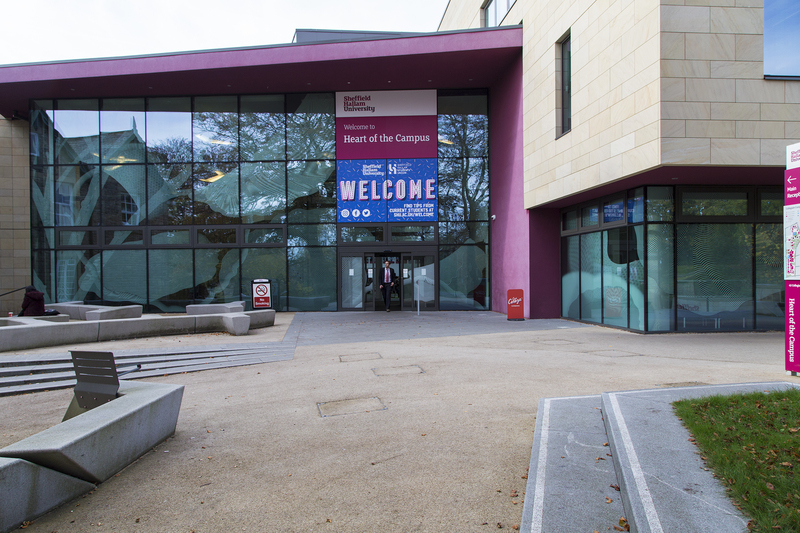 Yesterday the university client approved the Phase 2 artworks for the glazing artwork manifestations at the new ‘Heart of the Campus’ building for Sheffield Hallam University, Collegiate Campus. 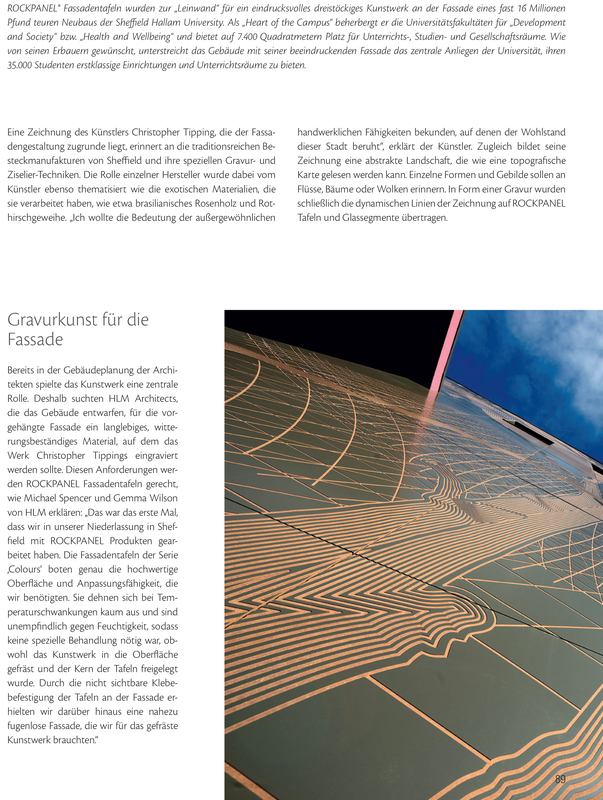 The project was delivered by Graham Construction and HLM Architects. 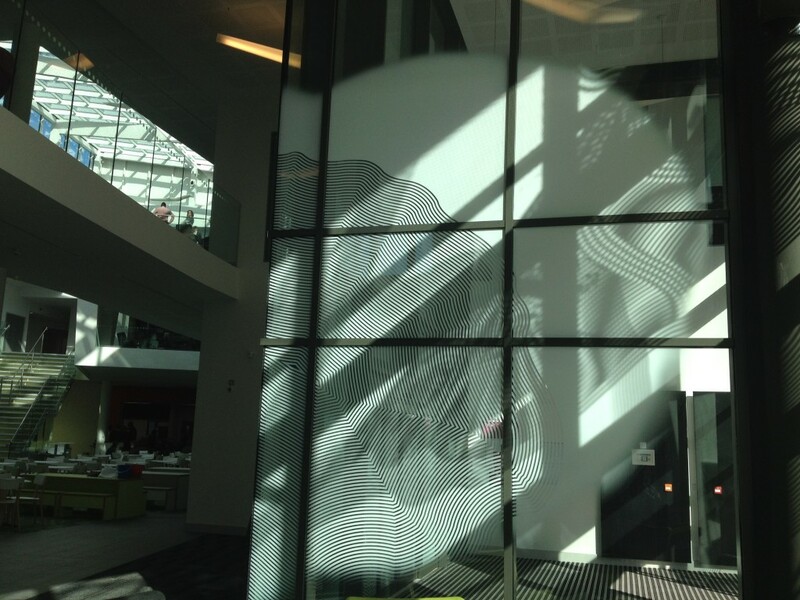 The digitally printed glazing manifestation artworks will be manufactured and installed by VGL.